Craig & I know that we have some fans out there who enjoy our art, but might not want to hang it on their wall. So we’ve decided to branch out a little bit & see what kind of response we’ll get by offering our art on various pieces of merchandise. We’re just in the beginning phases of this, & as such, we’ve got limited quantities of each piece. This is really more of a test to see if it might garner any interest, so we’d love to get your feedback. As a reward for your comments, one lucky winner will receive one of these gifts for free! The next thought was coffee mugs. Craig’s stipple of Marilyn Monroe looks great on these, and my Psychedelic Flower Wheel does, too . . .
And finally, my whole family enjoys doing puzzles; the more challenging, the better. And many of my photos would make lovely puzzles (as well as a couple of Craig’s stipples). We’ve gotten just a couple options to test the waters, & these are small count pieces (about 250 pieces each), but they would still likely take the owner quite a while to put them together. These are just a few ideas of where we might go with our merchandise, so please feel free to let us know if there are other products you’d like to see offered with our images on them. I just completed two new portraits. Both from the Sci-fi series Firefly, and the subsequent movie Serenity. The first one is the head honcho himself. You may also know him from the ABC drama Castle. 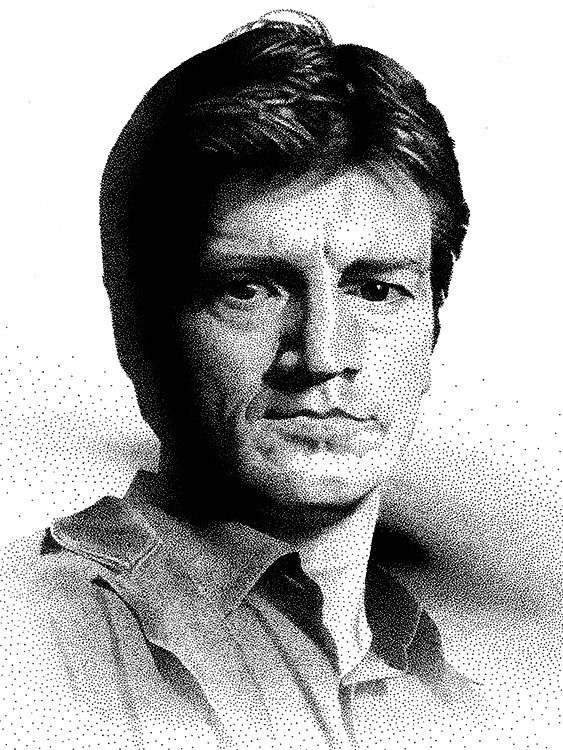 It’s Nathan Fillion in the role of ‘Captain Malcolm Reynolds.’ Give him a big hand, he likes the attention. The second one is Mal’s pilot on the show, last seen skewered by Reavers. Fortunately, that’s only the character, and the actor is alive and thriving in his hot web series Con Man. 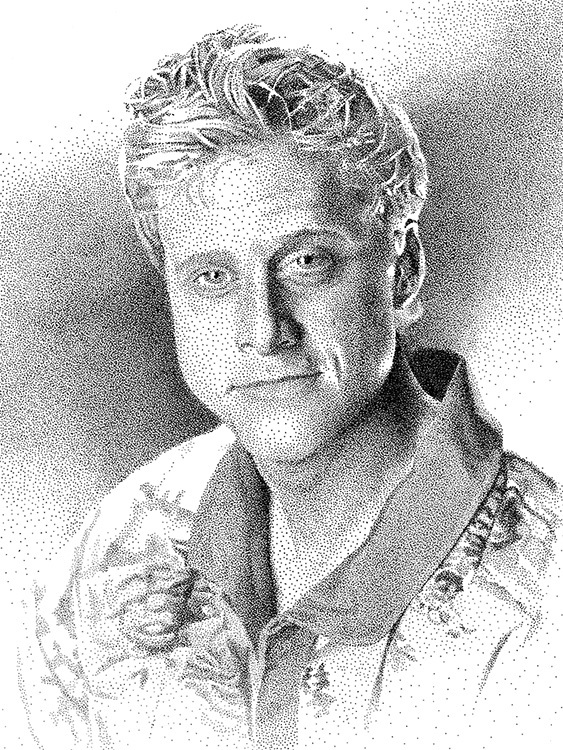 He has voiced ‘King Candy’ in Wreck-it-Ralph and most recently starred in Rogue One: A Star Wars Story as ‘K-2SO.’ It’s Hoban ‘Wash’ Washburne, aka Alan Tudyk. Yaaayyyy. Here is the first official peek at both images. I will be adding them to my website shortly, and I’ll send out an email when they are posted and ready for purchase, so don’t forget to sign up for our mailing list now so you can be notified (or send me an email on my website and order one directly). As I mentioned in my previous blog post, I’m going to switch gears for a bit. But never fear Firefly fans, I will be doing more portraits of the gang, and you’ll see all your friends soon; Inara, Kaylee, Jayne and more.